Whether it is HIPAA, MiFID II or GDPR, the importance of being compliant cannot be underestimated. Protecting your customers and avoiding the significant financial and reputational ramifications that threaten non-compliant organisations, is a must, and this starts with the technology powering your enterprise. Ubuntu is used by businesses spanning all sizes, industries and geographies, and at the foundation of the relationship between Ubuntu and its users is trust and the assurance that Ubuntu will provide a compliant platform upon which to conduct business. Canonical, the company behind Ubuntu, provides businesses with compliance-enabling technologies. The Landscape management tool can help ensure the latest patches are in place, avoiding negligence in complying with GDPR data standards. Additionally, Extended Security Maintenance (ESM), a part of Canonical’s Ubuntu Advantage support subscription, extends support beyond the five-year, LTS support window. This allows businesses the peace of mind that legacy applications and systems are secure, helping customers avoid potential unplanned downtime costs upwards of $100,000. Ubuntu’s trusted security and compliance solutions are at the forefront of solving such issues across a wide range of industries. Compliance and security issues heading into 2019. How Ubuntu is securing the most heavily regulated industries, such as: government, financial services & healthcare. 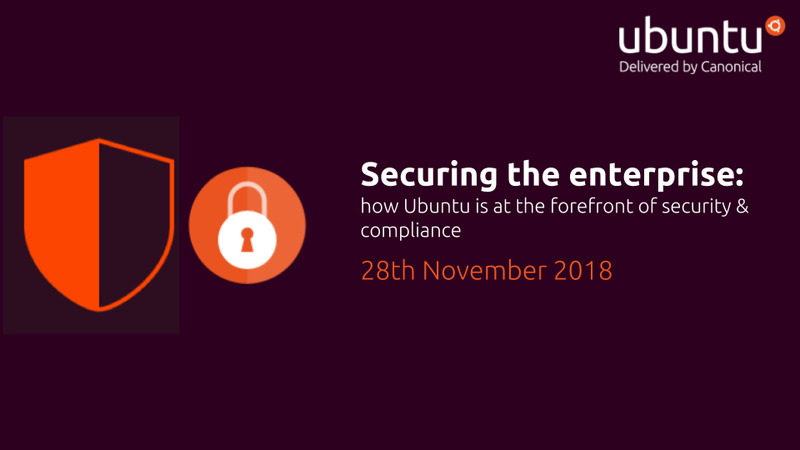 A guide to security & compliance on Ubuntu, including dealing with GDPR, why FIPS matters and why compliance doesn’t have to come at a high price. The post How Ubuntu is at the forefront of security & compliance appeared first on Ubuntu Blog.